Ultra Dark Chocolate Bar. Brooding and Complex. It's the dark night of the soul for chocolate. The 8.6 Oz bar has as much chocolate as 10 of the Ingots or 5 of the smaller bars. Virtually unsweetened, Ultra dark, brooding, complex, intense, lacking sweetness, yet creamy without bitterness or acidic taste. It's the 'dark night of the soul' for chocolate. Unlike other 'over 80% chocolates' this is smooth and moist tasting. It was the only ultra dark we found that wasn't dry or chalky tasting. Very low net sugar carbs. When I first tried this chocolate I couldn't believe my mouth. It was super dark, but the specs said it was 91% cacao. Almost every chocolate bar I ever tried over 80% was disappointing. 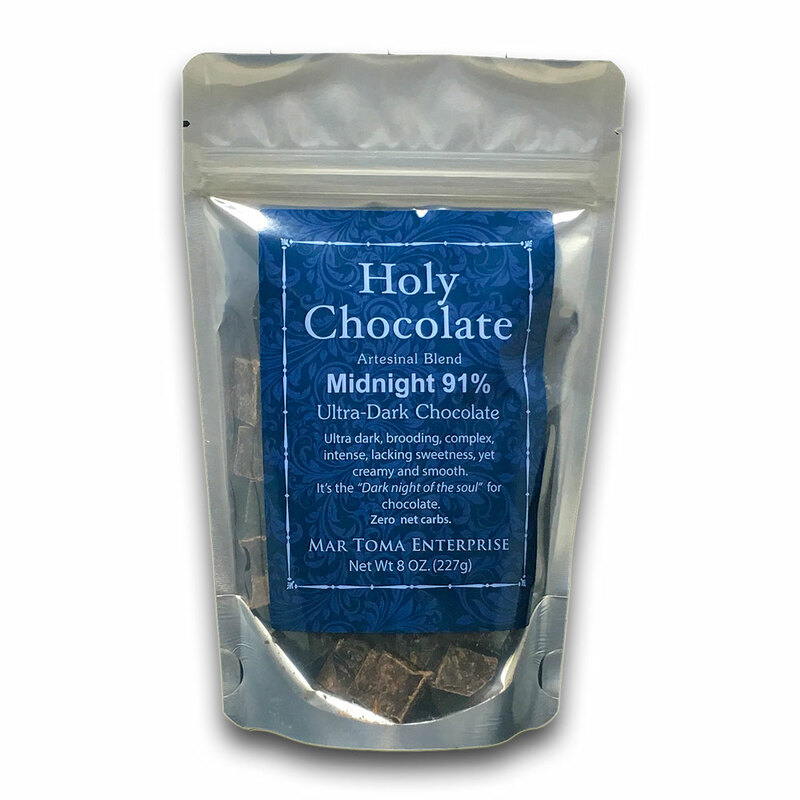 They were either dry, chalky, bitter, or lacked a creaminess, but this chocolate... Oh bittersweet chocolate lovers, this bittersweet is the kind of the ultra dark you have been waiting for. It solved every problem of the ultras while still giving you the chocolate intensity that you crave. This chocolate shouldn't exist, but it does. Yep, it's that kind of a dark chocolate and I couldn't be more proud. It's so artistic that I felt it really represented something unique and special, and if you yearn for ultra dark perfection then you should give this special variety a try. Milk free, soy free, using real vanilla. 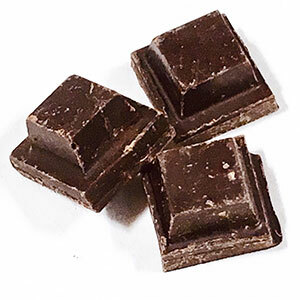 Couverture chocolate: This is the highest quality of chocolate that usually has more than 30% cocoa butter. It has a richer and more sophisticated taste and is really designed to give the maximum flavor with the least amount of chocolate and is used for covering candies like truffles. I chose this quality of chocolate not because it was the most profitable (it isn't) but because it has the maximum amount of taste.